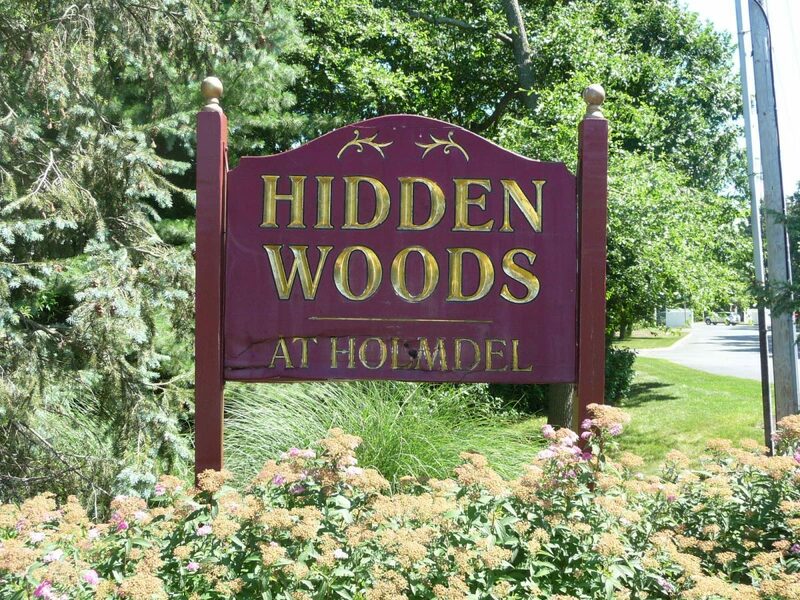 Hidden Woods is a pet-friendly community of 63 townhouse style condominiums plus 16 Mount Laurel Affordable Housing units (MLAH) located on Lexington Court just off of Middle Road. Built in mid-1990's, the townhomes at Hidden Woods feature three bedrooms, 2.5 baths and some have basements, many of which are finished. Tax records indicate the interior units are approximately 1401 S.F., with the end units being a bit larger at 1619, 1626 or 1645 S.F. For commuters, there are a number of convenient options. NJ Transit bus service on Rte. 36 is about 1.5 miles from Hidden Meadows, the Hazlet train station is about 3.75 miles away and both the Garden State Parkway and the Belford high-speed ferry are both about 4 miles from Hidden Woods. For shoppers, both the Holmdel Towne Center and Holmdel Commons shopping centers are both about a mile from the door.